While many see the best traditions as those that blue-blood schools celebrate, like O-H-I-O or the Boomer Sooner, some of the oldest and longest standing traditions come out of the state of Texas. No, I’m not talking about Bevo or the 12th man. Im talking about the traditions of Baylor University. Baylor sailgating is a very new tradition, introduced with the completion of the brand new McLane Stadium. Baylor is one of only two schools in the nation to have this tradition (University of Washington being the other). 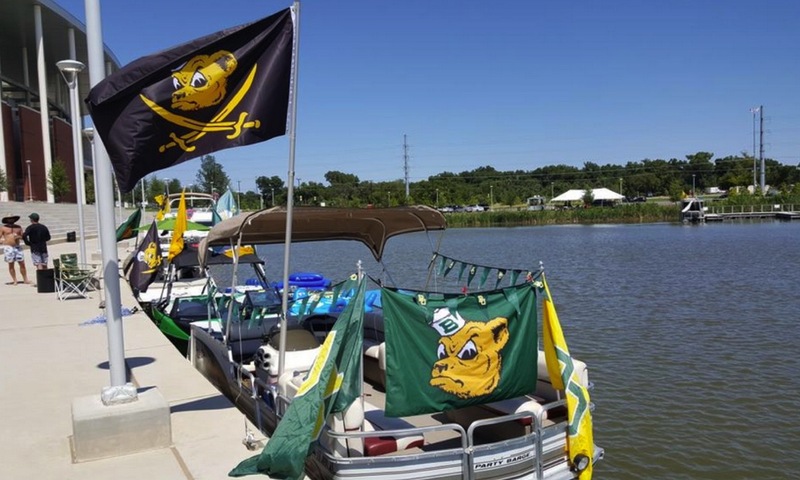 Sailgating is made possible by the fact that McLane Stadium was built right on the banks of the Brazos River, so fans can drive their boats right on up to the docks and tailgate from their boats. 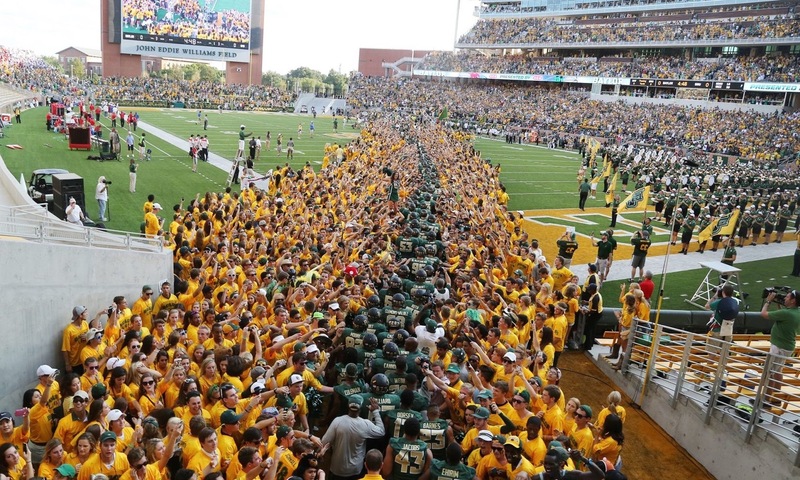 The Baylor Line is the most iconic tradition and one of the oldest traditions on campus. Every year, the first year students receive a line jersey, which is a yellow shirt that has their year of expected graduation on the back. Before every football game, the Line, made up of the first year students wearing their gold jerseys, charge out of the tunnel before the football team and create a line for the players to run out of. Then, they take their place behind the opposing bench and make their presence known for the rest of the game.